In celebration of the premiere of Disney Pixar CARS 2, Larry the Cable Guy held a press conference last week with a few NYC Bloggers. I was pretty excited to attend this press conference because Aiden is a huge CARS fan and, let's face it, who can resist the opportunity to meet the real Mater! CARS 2 will be released tomorrow, June 24th and Aiden and I are pretty psyched to get our CARS 2 fix! It will be shown in Disney Digital 3D™ and IMAX® 3D in select theaters and promises to be a good time! In this flick, race car Lightning McQueen (the voice of Owen Wilson) and his friend the tow truck, Mater (the voice of Larry the Cable Guy) find themselves oversees to compete in the first-ever World Grand Prix. However, on their journey to see who's the world's fastest car, they get caught up in lots of interesting and equally funny adventures. And Mater finds himself in a bit of a pickle as he becomes torn between helping Lightning McQueen in the race and towing the line in a top-secret mission, which is all arranged by the British Spy, Finn McMissile (the voice of Michael Caine) and the field Spy, Holley Shiftwell (the voice of Emily Mortimer). Mater's journey proves to be an adventurous one and leads him through the streets of both Japan and Europe! During the press conference, not only were we able to chat-it-up with Larry about CARS 2, but also about his life as a husband and father. Larry is certainly a role model when it comes to the acceptance of others and building lasting friendships. 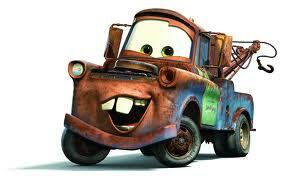 He brings a lot of himself to his work, particularly Mater's character. Just as Mater wants to get to know everyone regardless of who they are or where they come from, celebrity or not, Larry is extremely open to meeting and getting to know all different types of people. Sounds like the perfect character I'd want my son to look up to! Check out the video to see why Larry the Cable Guy thinks you should take your little ones to see CARS 2. And he says it in his Mater voice... LOVE! Get excited, folks! 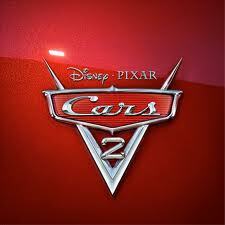 CARS 2 is sure to be a good one! Thanks to Larry the Cable Guy for such a fun press conference! 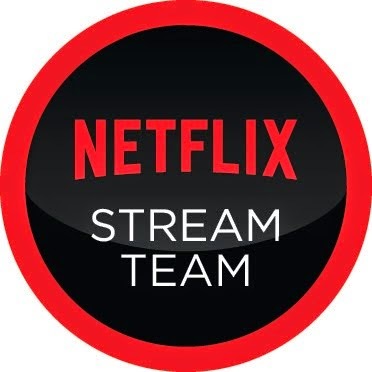 We've been nominated! 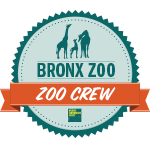 Please take the time to vote for Mommy Delicious -- TOP 25 NYC MOM BLOGGERS via Circle of Moms. I know, I know... self-pimping at its finest! You can't help but love Larry. He brings so much fun and life to Cars. I would love to see Disney give him a show or his own cartoon. I love him and his accent! He is so funny! Wow, what a cool experience! Sounds like an interesting movie. I think I may have to check that out. p.s. you have a great smile. Haha, you do look extra happy, and I LOVE it! :-) What fun - and so cool with Aiden being a huge Cars fan! My son is so excited about seeing this movie. Looks like fun times. Get 'er done! I love Larry the Cable Guy! Soo jealous! When I have a child definitely sending them your way to attend all these fun events with Aiden! Too much fun! Larry is hilarious! So cool you got to meet him. I haven't seen it yet so I really didn't read your post (I'm just being honest) to avoid spoilers but we are certainly fans. You and Aiden so blessed to have so many wonderful experiences.